Winter and summer in New York are on opposite ends of the spectrum, but with the same consequences: it can be brutal to be outside. Thankfully, there's spring sandwiched in between to save us from the frigid cold and sticky heat. And when spring finally descends on the city, there's nothing better than plopping down outdoors, sharing a meal and clicking a few glasses with close friends. The restaurants on this list were chosen for a few reasons: great outdoor spaces, good food and generally awesome vibes. For example, take relative newcomer Celestine. Located under the Manhattan Bridge, there are few places better to enjoy the skyline views while sipping orange wine. Or there's old-standby Habana Outpost, a fun, flirty party, complete with frozen margs and Cubano sandwiches. For a more foreign affair, Win Son is bringing Taiwan to Brooklyn and Claro is channeling the delicious power of Oaxaca – both excellent options for getting some sun while opening your mind (and mouth!) 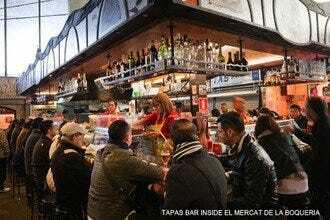 to food culture from around the globe. 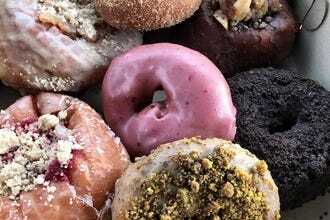 Below, we roll through ten of the best restaurants to get your bite on this spring. Hudson Clearwater isn't new, but even years after opening, it's still one of the best spots in town. 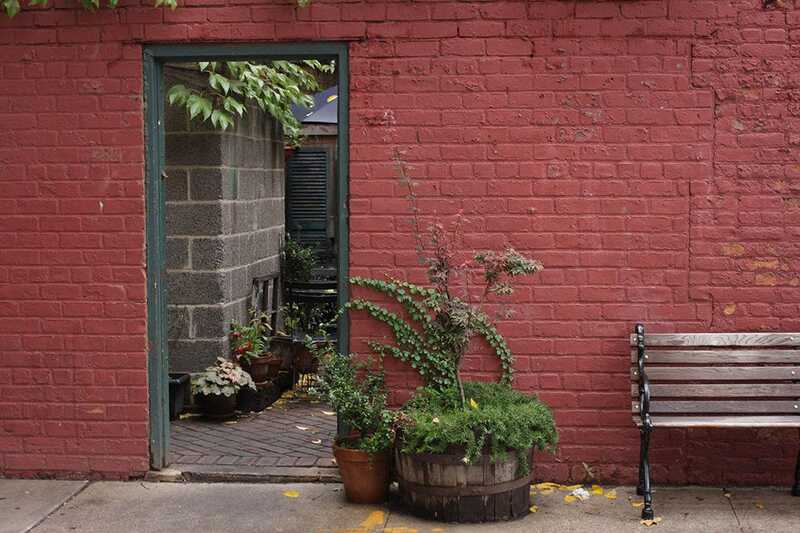 With a back patio that's to die for, the cozy space oozes that quaint, romantic charm that you can only find in the West Village. But it's not just the room or the adorable outdoor patio that will have you ooo-ing and ahh-ing: the food's also top-notch. From house-made fresh linguine to seared Long Island duck breast, this is New American done very well, with a stellar wine and cocktail list to boot. 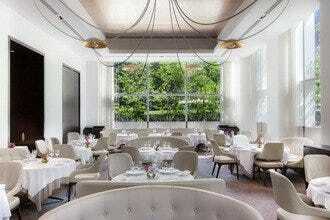 Hudson Clearwater is a great third date spot or the perfect place for an anniversary celebration. 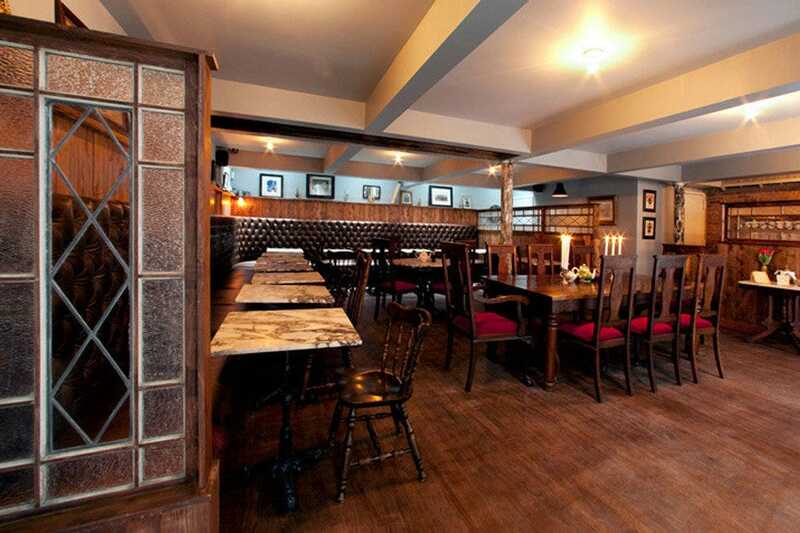 Jones Wood Foundry has a communal table made of gnarled wood, long chesterfield banquettes and a cozy front bar that encourages a convivial atmosphere among the Brit expats and foodies who flock here. They come for the company and the food, dishes like bangers and mash with caramelized onion gravy or a bacon-wrapped tuna loin served with potato puree. In the spring, scoring one of the coveted tables at the hidden inner courtyard is a must. Word of warning: The bar doesn't serve liquor, just wine and beer, but it does mix up wine cocktails, such as the lovely First Bloom with Sauvignon Blanc, elderflower, lemon juice and club soda. 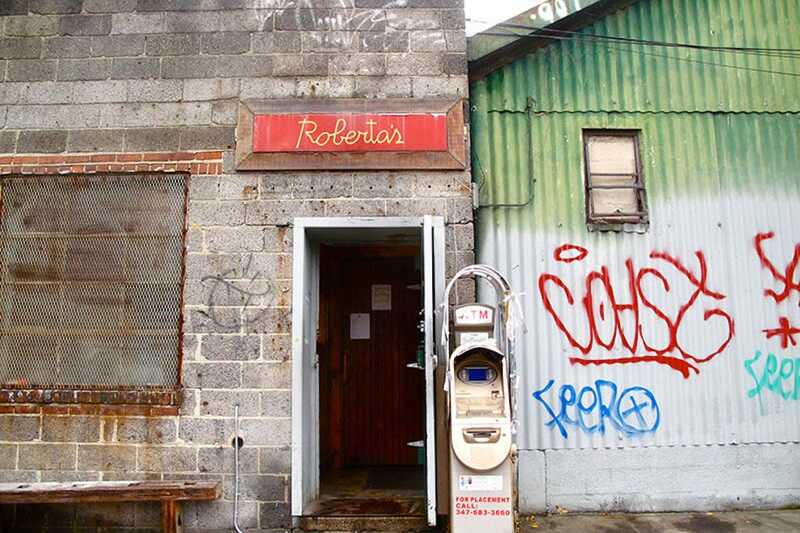 From their onsite gardening internships to their podcasts recorded at the Heritage Radio Network, pizza doesn't get any cooler than at Roberta's. 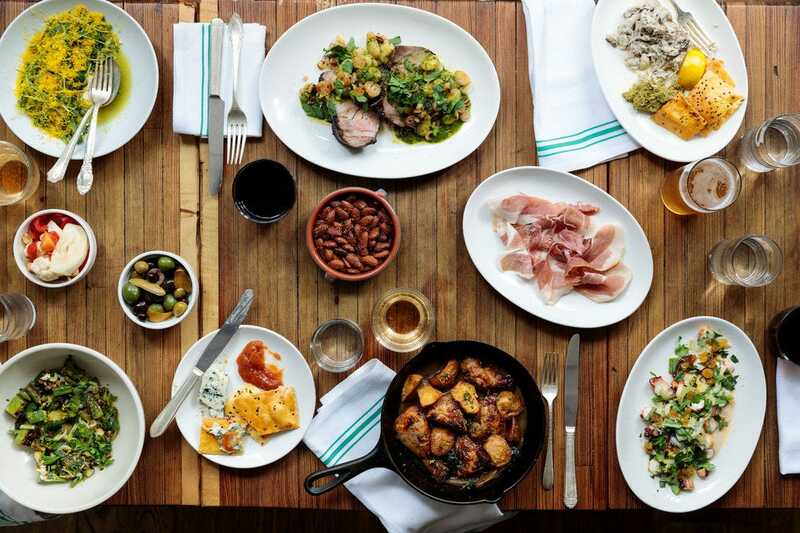 But lest that dissuade you from trekking out to Bushwick for a nibble, let us ease your fears: while this hipster haven continually makes headlines with head-turning stories like the time they unrolled a weed-tasting menu, their drug-free food more than lives up to its own hype. 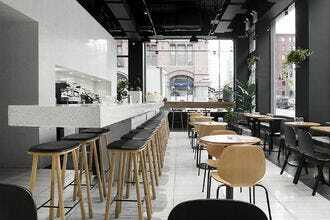 Wood tables and expansive outdoor seating lend an air of casualness to the atmosphere here, and their wood-burning oven is prominently displayed. As for the pizzas? 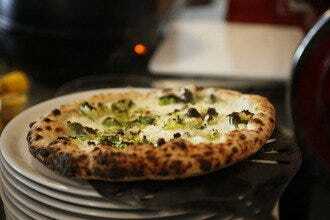 Carlo Mirarchi's pies feature produce grown onsite and have cemented themselves as a must-eat on any New York pizza tour. Claro is one of the hottest and most exciting restaurants to open in New York in recent memory - and their backyard patio makes it even more special. Claro's a Mexican restaurant, but you won't find your standard enchiladas or rice and beans here. 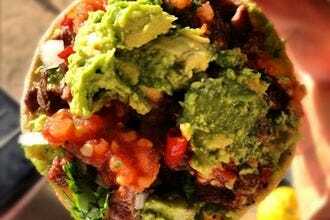 Instead, the team focuses on Oaxacan cuisine mixed with a refinement that's all NYC. 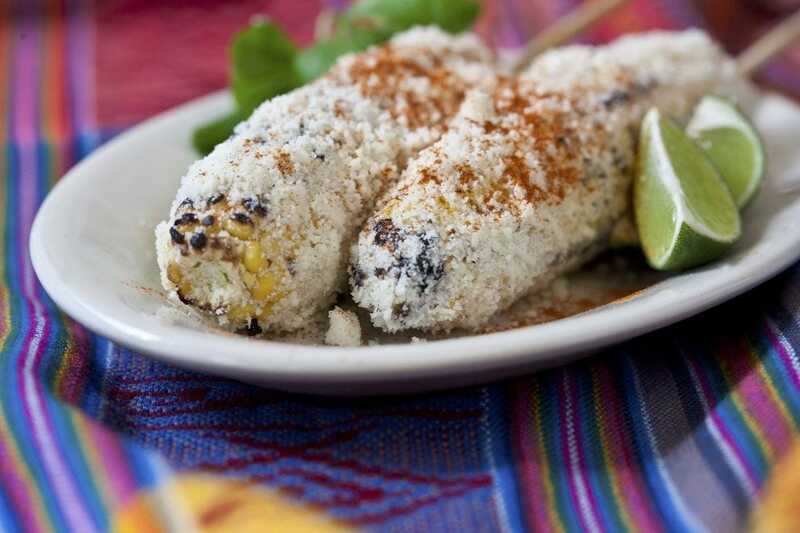 The corn for Claro's menu comes from farms that hand-pick the non-GMO heirloom varieties, and the restaurant makes everything by hand, including the masa, cheeses and moles. 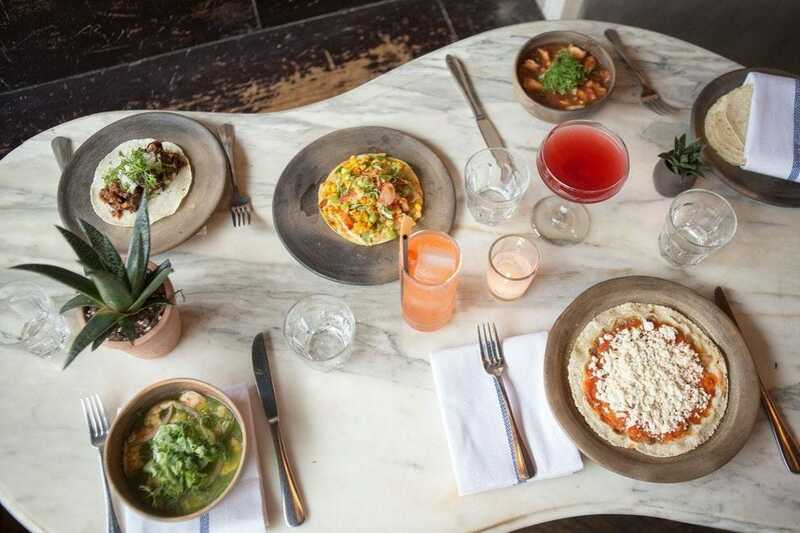 The meats (chorizo, beef cheek, heritage pork rib) and produce (dandelion, spring onion) are local and organic, and the mezcal list is one of the best in town. If there were bars in fairy tales, they'd look like Green Gallow at the McKittrick Hotel. 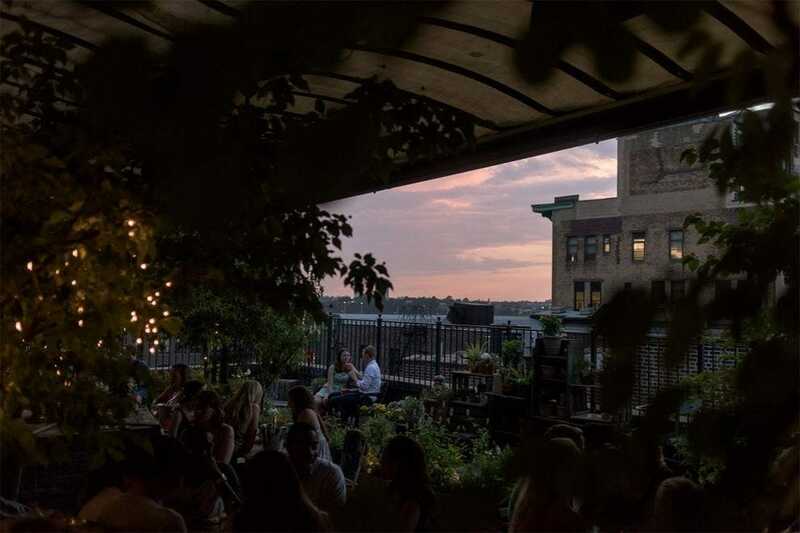 Plants are plentiful (as are wait-times, so plan accordingly) on this lush, green rooftop that's the perfect backdrop for drool-worthy Instagram pics. Is the food here the best in the city? No, but it will certainly pass as you gawk at the beauty of it all. It's also not the cheapest joint in town, though you're paying as much for your bar tab as you are for the privilege of the gorgeous surroundings, including the top-notch, model-esque clientele sipping champagne cocktails in the corner. 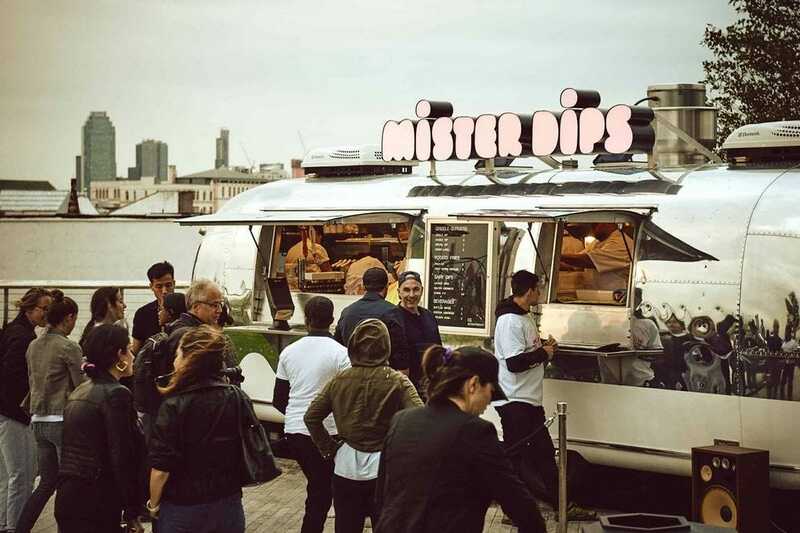 Mister Dips is a food truck stationed on property at The William Vale hotel, making it an ideal spot for a quick pit-stop while you're bouncing around Williamsburg. From your perch on the grassy knolls in front of the truck, you can take in the Manhattan skyline or snoop on the passerby walking around below. More importantly, you can also enjoy a classic griddled burger, a side of waffle fries and a good old fashioned root beer float. 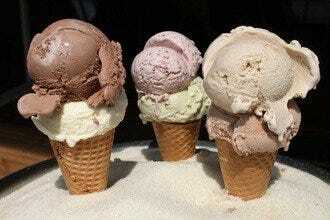 If you're only after dessert, the truck churns out "dairy dips," an assortment of cones and cups, including the Berry Gibbs (strawberry, nilla wafer, sweet cream) and the Big Kahuna (pineapple-coconut sundae, cherry-vanilla, Hawaii 5-0 sauce). Nothing says spring more than a blossoming cherry tree, which is exactly what you'll find at Vinegar Hill House. Located in an unassuming area near the Brooklyn Navy Yard, this quaint, old-timey restaurant is equally suited for dinner with the parents or with a date. The dinner menu features a large selection of small plates, including a chicory salad with preserved vinaigrette and a cannellini bean Panzanella with lacinato kale, pickled red onion and pecorino. The red wattle pork chop is not to be missed, nor is the lengthy wine list that's heavy on the Mediterranean. Maybe it's the air of nostalgia, but things feel easy here - almost as if you weren't in New York City at all. The corn! The Cubanos! The bright colors! Habana Outpost just looks like a place that knows how to party. Its outdoor patio boasts neon orange and yellow umbrellas, lime green picnic tables and a funky vibe that can only be described as totally, absolutely fun. This is the spot to come when you want to enjoy a few frozen margaritas or spiked lemonades, down an order of guacamole and make a mess of yourself with grilled Mexican corn topped with cojita cheese, mayo and chili powder. After a long, cold New York winter, Habana Outpost is exactly what you're craving to kick off spring in the city. 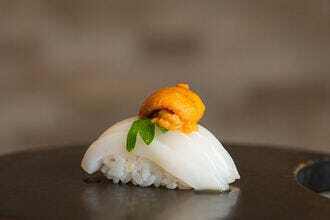 Billed as Taiwanese-American, Win Son has been called one of the most thrilling meals of the moment in NYC. The food at Win Son is playful (sloppy bao with stew pork, chili and peanuts, anyone?) but it also packs a serious punch in terms of technique and homage to its Taiwanese roots. 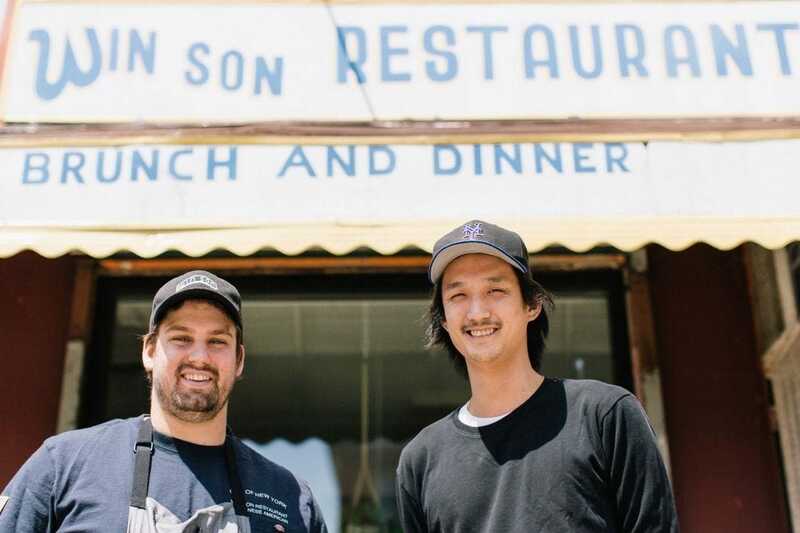 Though Win Son looks like any low-key neighborhood joint, the word's out that it's one of the best places to grub down, so reservations are recommended unless you arrive on the earlier end. In terms of a breeze on your face, there's outdoor seating when the weather cooperates, making it the perfect spot for a casual weekday dinner. Celestine opened in the fall of 2017, making it quite the tease for New Yorkers who had to wait all winter to finally enjoy the grandeur of its riverside patio. Tucked under the Manhattan Bridge in DUMBO, Celestine mixes Northern Africa, the Mediterranean coastline, and the Middle East into its delightful cuisine, which includes Lebanese lamb tartare, morel risotto and an entree of roasted beets with green tahini, goat cheese, watercress and bulgur cake. Former L'Artusi restaurateur Joe Campanale curated the warm weather-worthy wine list, complete with a smattering of rose and orange wines, in addition to a healthy collection of sparkling from Italy, Spain and France.